View discussions between candidates and Citi employees. Is there any advice you could give to learn about the financial industry? Hi Concilia, which role are you interested in applying for? what are the next stages for the graduate recruitment after passing the aptitude test, in Kenya? In an interview, what type of current affairs events should you mention to stand out and impress the interviewer? How can I perform well at a Citi telephone interview? What type of candidates do you look for? For Spring week candidates, do you have any suggestions about how to pass the online test and interview? 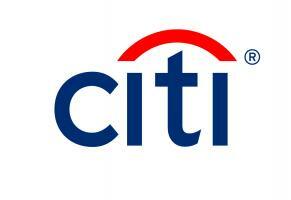 For more than 200 years Citi has enabled growth and economic progress around the world. The company provides clients and customers with a broad range of financial services and products. Its aim is to create the best outcomes for them, using financial ingenuity to develop simple, creative and responsible solutions. A career with Citi means being part of a global firm that provides the most forward-thinking financial products and solutions to the most enterprising corporations, institutions, governments and individuals around the world. This is an opportunity to join the heart of the global financial services industry at a truly exciting period in its development. It’s an opportunity to work with the brightest minds to drive responsible, positive change across the organisation, the banking industry, and beyond. Economics at University.....and then Commodities at Citi! Functional cookies	 These cookies are used to provide a consistent experience by remembering settings, sessions and already-viewed content, and feature interactions, allowing PathMotion to customise the user experience and provide data, insights and trends to Citi Graduate Recruitment EMEA.